The Frankfurt Radio Symphony’s programme for the coming season includes Joseph Haydn’s Francophile oeuvre, three works by the renowned Ballets Russes, and new compositions by Erkki-Sven Tüür, Sofia Gubaidulina, Thomas Larcher und Nicolaus A. Huber. 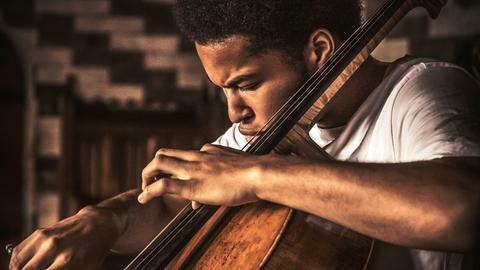 In a highlight for the new season, the orchestra has invited cellist and rising star Sheku Kanneh-Mason, best known for his performance at the wedding of Prince Harry and Meghan Markle. 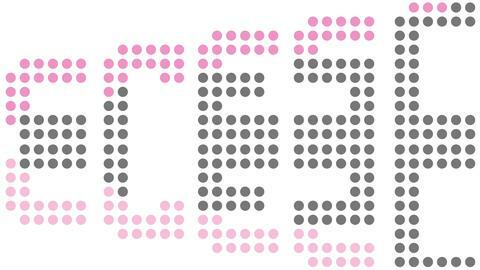 Exploring the line between man and machine, the next cresc… Biennial for currant Music takes place in spring 2020. Latvian organist Iveta Apkalna will be the orchestra’s latest Artist in Residence. For Beethoven 2020, Andrés Orozco-Estrada has chosen to foreground Joseph Haydn, the father of the symphony, presenting the Paris Symphonies across five concert dates in exciting combinations with other works. 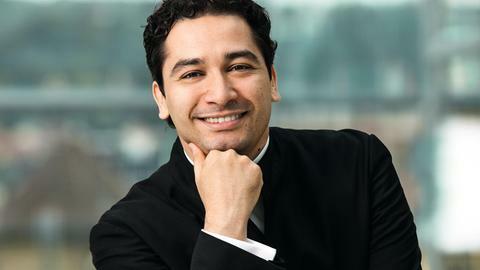 The Colombian conductor will open the first Frankfurt Radio Symphony concert dramatically, welcoming Iveta Apkalna on the organ with Samuel Barber’s Toccata Festiva before putting the Cape Town Opera Chorus and soloists centre-stage with music from George Gershwin’s worldwide hit Porgy & Bess. Another highlight is Johannes Brahms’ Violin Concerto presented by Orozco-Estrada and Joshua Bell. Summer 2020 brings with it Gustav Mahler’s Seventh Symphony. Shortly thereafter, the Music Director will open the Rheingau Music Festival 2020 alongside the MDR Radio Choir and the NDR Choir with Franz Schubert’s Mass No. 5 in A flat major. In a lively and engaging conversational Spotlight concert format, he will personally shine a light on The Firebird, one of Igor Stravinsky’s Ballets Russes. Given the past success of this format, Orozco-Estrada will also present two Spotlight-Mini concerts, each time introducing a different Haydn Symphony. In her work, the magic of the organ reaches out beyond church walls and into the world’s finest concert halls, not only as titular organist of the Klais organ in the Hamburg Elbphilharmonie but in all her performances worldwide. Since her celebrated début with the Berlin Philharmonic under Claudio Abbado, she has performed with many leading orchestras around the world, working with outstanding conductors such as Mariss Jansons, Marek Janowski, Kent Nagano, Antonio Pappano, Gustavo Dudamel and Andris Nelsons. She has already performed in concerts with the Frankfurt Radio Symphony under the direction of Peter Eötvös. Every two years the region’s greatest cultural institutions combine their efforts in the cresc… festival. Supported by the Kulturfonds Frankfurt RheinMain and organised by the Ensemble Modern and the Frankfurt Radio Symphony, cresc... once again presents a broad spectrum of artistic approaches, positions and perspectives in the debates on modern day life. This year’s theme, HUMAN_MACHINE, centres around the relationship between mankind and technology. As the speed of technological development increases, the man-machine relationship has become ever more the object of both utopian and alarmist discourse. The festival takes the form of five sizeable concert projects complemented by smaller concerts and performances. The Frankfurt Radio Symphony’s extremely successful Music Discovery Project will be integrated into the Biennial for the first time this year. Furthermore, the orchestra will give countless premières, including some world premières, in the Forum N concert series. First he appeared on Britain’s Got Talent, and then he truly sky-rocketed to fame in 2018 performing at the Royal Wedding of Prince Harry and Meghan Markle at Windsor Castle: Sheku Kanneh-Mason. Now audiences in Frankfurt can also experience the English 19-year-old live in the hr-Sendesaal. Performing with the Frankfurt Radio Symphony in the 2019/20 season will be celebrated soloists and extraordinary instrumentalists such as violinists Joshua Bell, Christian Tetzlaff and Baiba Skride as well as pianists Beatrice Rana, Martin Helmchen and Emanuel Ax. This season also marks the return of familiar faces with cellists Alisa Weilerstein and Gautier Capuçon. Soprano Christiane Karg also returns, performing Johannes Brahms’ A German Requiem. Guest conductors from around the world will join the Frankfurt Radio Symphony: David Zinman, Philippe Herreweghe, Alain Altinoglu, David Afkham, Alondra de la Parra, Juraj Valčuha, the rising star Klaus Mäkelä and Baldur Brönnimann. 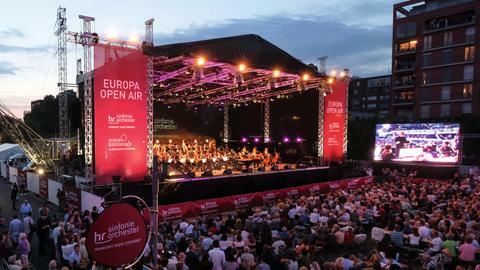 Many Frankfurt locals plan their summer around this date in August: for the last five years the Europa Open Air festival has been a fixture in the Frankfurt cultural calendar. This year is no exception. The Frankfurt Radio Symphony, sponsored by Elisabethen Quelle, invites listeners to join them in a concert on the banks of the River Main. This year, the concert kicks off the ECB’s European Cultural Days with a focus not just on one country but on the whole of Europe. Under the direction of Alain Altinoglu, the Frankfurt Radio Symphony with the pianist Alice Sara Ott will present works by Georg Friedrich Handel, Franz Liszt and Ludwig van Beethoven. Once again, the Frankfurt Radio Symphony will give a series of Fokus concerts in Frankfurt’s Alte Oper. This year, the focus is on those composers in exile who produced the soundtracks of legendary Hollywood productions. 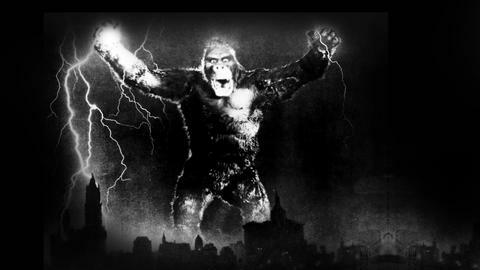 In the opening concert, the Frankfurt Radio Symphony will present music from such films as Gone with the Wind and King Kong under the direction of Frank Strobel. For the Lange Nacht late night event, the programme will feature classics such as Star Wars, Casablanca as well as contemporary Hollywood soundtracks. As a counterpoint to this, the orchestra will also perform works by Russian composers from films such as Ivan the Terrible, High Noon and The Fall of Berlin. The Frankfurt Radio Symphony is giving a total of 102 concerts in the 2019/20 season, of which 90 will be in Hesse. Alongside their own concert series in Frankfurt and concerts at the Rheingau Music Festival, they will also guest perform at the Marburg Musikverein, at the Giessen Stadttheater, and with soloist Martin Grubinger at a huge open-air concert marking Fulda’s city jubilee celebrations and 30 years since the fall of the Berlin Wall. Special projects, guest concerts and 11 tour dates as well as a total of 22 chamber music projects round off their extensive engagements this year. Most performances will be broadcast live on hr2-kultur in Germany and internationally by the European Broadcasting Union (EBU). All Frankfurt Radio Symphony concerts in the Frankfurt Alte Oper can also be watched by video livestream at www.hr-sinfonieorchester.de. Selected events will also be broadcast on TV by hr-fernsehen, 3sat or Arte Concert. Every year the Frankfurt Radio Symphony reaches out to approximately 20,000 young children and teenagers in Hesse through its education and outreach projects. This successful work will continue in the coming season with projects such as the Spielzeitschule, in which the Frankfurt Radio Symphony works closely with two schools and offers teenagers the chance to meet guest soloists in person or to present a Junges Konzert, a concert at the Alte Oper aimed at young people. 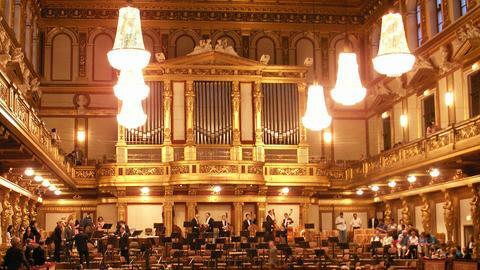 The junior edition of the Junges Konzert, for children aged 10-14, also returns to the hr-Sendesaal. 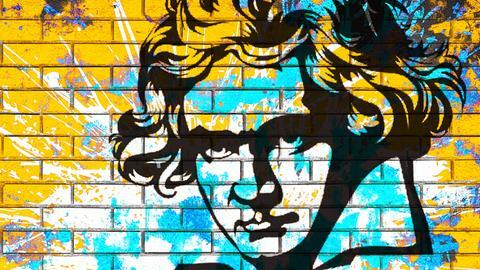 This year, the one-hour moderated concert is all about Pictures at an Exhibition. The following projects also feature: the firm favourite Hesse schools tour, the Hast du Töne? musical outreach programme, as well as Coach’n’Concert, in which schoolchildren receive coaching from Frankfurt Radio Symphony members over the course of several months. This year’s outreach programme concludes with a family concert celebrating Ludwig van Beethoven’s 250th birthday. Beyond their concert engagements in Hesse, the Frankfurt Radio Symphony will also be visible on the international stage, at the Canary Islands Festival, in Barcelona and Madrid, and in guest performances in Zürich, Düsseldorf, Berlin, Vienna and Athens. The orchestra also returns once more as a guest to the Aschaffenburg concerts. The Frankfurt Radio Symphony continues to offer the highest musical quality at affordable prices. Subscriptions are available in two categories: Sinfonie@AlteOper and Klassik@Sendesaal. All hr-Musikcard cardholders will once again enjoy attractive discounts. Subscriptions are now available for purchase. The sale of individual tickets and Sinfonie x 3 subscriptions opens on 1st April 2019.